Cloudbeds is a hotel management software that features channel management, project management, and booking engine solution in a single, centralized platform. By providing access to leading technology brands and travel channels, this software allows users, hotel managers, in particular, to save on both time and expenses and streamline workflows that would lead to a boost in service quality, which would translate into more bookings, causing an increase in revenue. 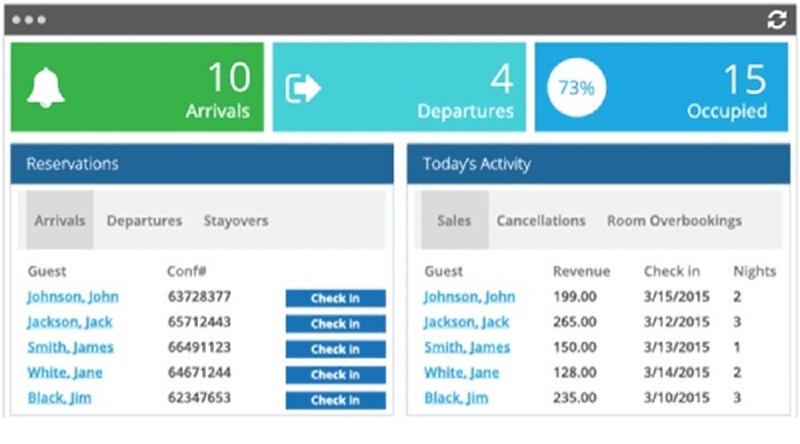 Cloudbeds allows hotels to take their business to the next level by providing numerous benefits to the company such as running the front desk and back offices, simplifying tasks like reservation management and providing support for seamless integration of more than 500 third-party applications such as accounting and email marketing tools. This solution allows hotels to go head-to-head with online travel agencies and their bigger counterparts as it streamlines distribution, which then boosts their business efficiency. Cloudbeds is capable of handling practically any hotel task, from guest check-in to post check-out, whether it’s a front desk function or back office one. With only a little training, any employee or staff can operate the application efficiently and with ease. Businesses that utilize Cloudbeds likewise do not need to alter any process of their hotel’s operation for an increase in revenue since the platform would improve their efficiency and provide streamlined distribution without the need to do so. This would allow them to compete with online travel agencies and even their bigger counterparts. The software improves the hotel’s efficiency by providing a single location in which all relevant operations can be managed from. A single login is all it takes to have access to multiple business processes such as booking systems, property management systems, booking engines, and hotel revenue management systems. This would translate to more time for hoteliers for decision making and less time for online clicking. Cloudbeds’ highly intuitive dashboard is specifically designed to allow users to focus their time and effort on more important matters by decreasing the amount of time to accomplish everyday tasks. The reservation management module is easy to utilize as well. It features a drag-and-drop calendar that provides a fresh view of the reservations to allow for maximum occupancy and instant processing of any type of payment from guests. The platform also provides a housekeeping module to assist the user in identifying the specific rooms that need to be taken care of. Cloudbeds features a channel manager that aids the hotels in distributing inventory to over 300 markets around the globe, from the dedicated niche markets to the largest online travel agencies. The platform also offers the services of highly trained consultants that can guide users in selecting distribution channels for maximum profits.